This is the final entry for Designated For Assignment. Coming January 5, 2015, D4A becomes “On the Warning Track”, dedicated to baseball at all levels. See you there at http://onthewarningtrack.com. Our Brandon Karsten gives his year in review a poetic twist. Good night to all and to all a good night. This year started with the crowning of a national champ in Florida State. When it came time to select Jameis Winston for the game’s MVP, there was no need to hesitate. This year’s Super Bowl was quite boring. Seeing Peyton Manning’s Broncos fail miserably reduced all of us to snoring. The Winter Olympics for this year saw Russia playing host. After two weeks of competing for medals, Russia came away with the most. From March to April, we saw UConn march from a seventh seed to champions in the Final Four. With so many exciting finishes, next year we’ll be back screaming for more. And with it came the eager anticipation of who will win in the fall. 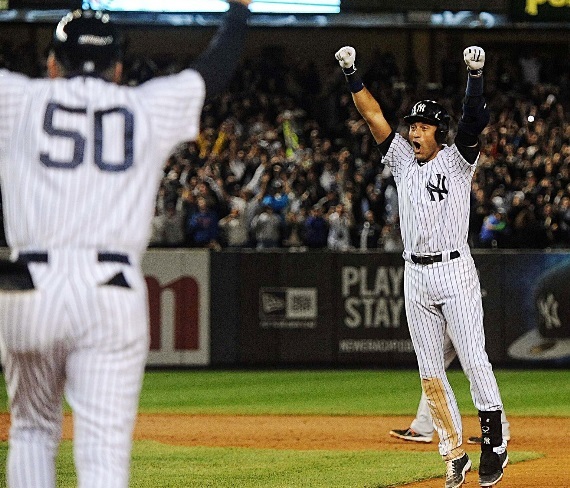 And seeing him get the game winning hit in his last Yankee Stadium at-bat was a blast. Yankees pitcher Michael Pineda was caught with something on his neck called pine tar. And with that stunt he did not go very far. One pitcher who was dominant this year was Clayton Kershaw. On his way to the NL Cy Young and MVP, he left all of us in awe. We saw an exciting World Cup in Brazil. Every minute of soccer action seemed to offer a thrill. But Mario Götze’s game-winning goal in the Final showed Germany’s might. Showing the trio of LeBron James, Dwyane Wade and Chris Bosh can be beat. It was hard to hear L.A. Clippers owner Donald Sterling ripping black fans and Magic. Seeing that racism and prejudice in sports still exists today is quite tragic. And we hope to see if a Cleveland title drought will finally break. In the NHL, the L.A. Kings won Stanley’s Cup with Alec Martinez scoring the game-winner. In five games, the New York Rangers were done like a TV dinner. The NFL had a PR crisis with Ray Rice punching his then-fiancé Janay. Rice and Adrian Peterson showed when it came to domestic violence, the NFL was in disarray. Rest in peace Ralph Wilson, Don Zimmer and Kevin Ward, Jr. and others who died in 2014. But we can’t forget Tony Gwynn, one of the best sluggers baseball has seen. The person we’ll miss the most is Robin Williams, Giants fan and king of funny. His wit and humor seemed to turn even the gloomiest of days bright and sunny. With him gone, in our lives he has left a big gaping hole. I think what we will miss is what he put into every one of his movies: Soul. Robin would be happy to know that the Giants won the World Series, their third in five years. But the story was the red-hot Royals who brought K.C. fans a lot of joy and cheers. Those Royals ran into a pitcher by the nickname of MadBum. After seeing Madison Bumgarner pitch in the Fall Classic, he left all of us feeling numb. This year for Michigan football was a complete joke. AD Dave Brandon resigned and the next guy looking for a job was coach Brady Hoke. With 2015 upcoming, something new called a college football playoff will begin. Right now it’s hard to predict who will win. Miami Marlins slugger Giancarlo Stanton signed the biggest contract extension in sports history. Whether that will help the Marlins make the playoffs in 2015 is only a mystery. Let’s rejoice in the reason for the season: God sending His son to show us the light. I say Merry Christmas to you all and to all a good night. Brandon Karsten is a contributor to Designated Four Assignment. He can be found on Facebook or reached through bkarsten2009@hotmail.com. 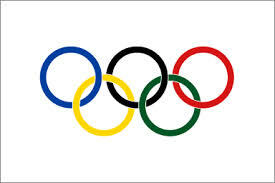 As a kid I could not wait for the Olympics to start. Four years seemed like such a long time to see both the winter and summer games played in the same year. I especially loved watching the winter games with ice hockey, ski jumping, downhill races, and speed skating. For the summer games it was the sprints, pole vaulting, long jump and decathlon in track and field, boxing, and basketball. Things change once you start to get older and the curtain is drawn back, and the wizard is revealed to be nothing more than an ordinary man. Front and foremost, the corruption of the International Olympic Committee and their laissez-faire attitude towards any mistreatment of the citizens of a host country is exposed. The blatant cheating in sports like figure skating and boxing where medals are based on the score of judges. The completely absurd men’s basketball final in the ’72 games when the Russians manipulated the gold medal right out of the US’ hands in the men’s basketball finale. The final blow was the proliferation of professional athletes in most events. Some of my favorite Olympic memories as a kid were watching the US beat the big bad Russians or East Germans, or any other team that was already using professional amateurs. The 1980 ice hockey gold medal, better known as the “Miracle on Ice” will never be replicated. It can’t be when teams are loaded with players from the NHL and pro leagues in Europe. There’s been tragedy as well. The savage murder of 11 Israeli athletes by Palestinian terrorists at the Munich summer games in ’72. There was also the bombing at the 1996 summer games in Atlanta that left two people dead. Let’s not forget the political impact either. The politics that are not supposed to be part of the Olympic experience. Yet Sochi, Russia was chosen for the current games despite a blatant anti-gay policy. Despite pushing people out of their homes to build facilities for the games and the needless slaughter of stray dogs (some of which became stray after the government forced their owner out of their homes), because God forbid one may run into an Olympic venue. Two years the summer games were in China, a country that blatantly abuses their citizens. There was the US boycott of the 1980 summer games in Moscow due to the Soviet Union’s invasion into Afghanistan and the the Soviets subsequent boycott of the ’84 summer games in Los Angeles as payback. This year, the IOC, in their infinite wisdom, would not allow a tribute to deceased snow boarder Sarah Burke, because that would be political. Putting a sticker on your helmet with her name is political? Someone should read the dictionary definition for the word political to IOC head Thomas Bach, who is doing a fine job following in the foot steps of his inept predecessor Juan Antonio Samaranch. Despite it all, I’ll still be watching the Men’s hockey tournament, but possibly nothing more than that. And if they keep up the slaughter of stray dogs, I may just skip it all together. Lastly , have you heard this nonsense that there is no such thing as the Easter Bunny? Drew Sarver is the publisher, managing editor, and a contributor for Designated For Assignment. He can be followed on twitter at @mypinstripes or by email at dsarver@d4assignment.com.